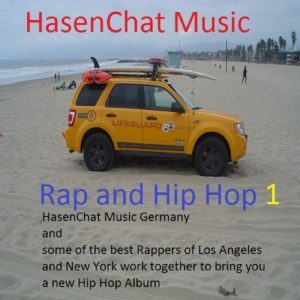 “Rap and Hip Hop 1” by Hasenchat Music from Hasenchat Music Germany under 2013 Hasenchat Music Germany Copyright and 2013 Hasenchat Music Sound Recording (Performance) Copyright. “2013-05-01” is the day this album was released. It contains 11 tracks and is available on Andorra, Argentina, Austria, Australia, Belgium, Bulgaria, Bolivia, Plurinational State of, Brazil, Canada, Switzerland, Chile, Colombia, Costa Rica, Cyprus, Czechia, Germany, Denmark, Dominican Republic, Ecuador, Estonia, Spain, Finland, France, United Kingdom of Great Britain and Northern Ireland, Greece, Guatemala, Hong Kong, Honduras, Hungary, Indonesia, Ireland, Israel, Iceland, Italy, Japan, Liechtenstein, Lithuania, Luxembourg, Latvia, Monaco, Malta, Mexico, Malaysia, Nicaragua, Netherlands, Norway, New Zealand, Panama, Peru, Philippines, Poland, Portugal, Paraguay, Romania, Sweden, Singapore, Slovakia, El Salvador, Thailand, Turkey, Taiwan, Province of China, United States of America, Uruguay, Viet Nam and South Africa markets. 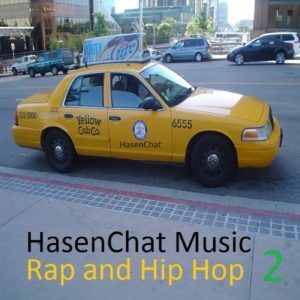 “Rap and Hip Hop 2” by Hasenchat Music from Hasenchat Music Germany under 2013 Hasenchat Music Germany Copyright and 2013 Hasenchat Music Sound Recording (Performance) Copyright. 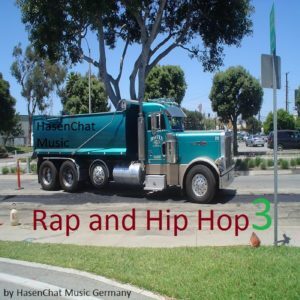 “Rap and Hip Hop 3” by Hasenchat Music from Hasenchat Music Germany under 2013 Hasenchat Music Germany Copyright and 2013 Hasenchat Music Sound Recording (Performance) Copyright. 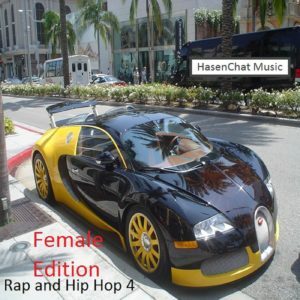 “Rap and Hip Hop 4 (Female Edition)” by Hasenchat Music from Hasenchat Music Germany under 2013 Hasenchat Music Germany Copyright and 2013 Hasenchat Music Sound Recording (Performance) Copyright. “Rap and Hip Hop, Ep. 5” by Hasenchat Music from Hasenchat Music Germany under 2013 Hasenchat Music Germany Copyright and Sound Recording (Performance) Copyright. “2013-08-12” is the day this album was released. It contains 30 tracks and is available on Andorra, Argentina, Austria, Australia, Belgium, Bulgaria, Bolivia, Plurinational State of, Brazil, Canada, Switzerland, Chile, Colombia, Costa Rica, Cyprus, Czechia, Germany, Denmark, Dominican Republic, Ecuador, Estonia, Spain, Finland, France, United Kingdom of Great Britain and Northern Ireland, Greece, Guatemala, Hong Kong, Honduras, Hungary, Indonesia, Ireland, Israel, Iceland, Italy, Japan, Liechtenstein, Lithuania, Luxembourg, Latvia, Monaco, Malta, Mexico, Malaysia, Nicaragua, Netherlands, Norway, New Zealand, Panama, Peru, Philippines, Poland, Portugal, Paraguay, Romania, Sweden, Singapore, Slovakia, El Salvador, Thailand, Turkey, Taiwan, Province of China, United States of America, Uruguay, Viet Nam and South Africa markets. “Rap and Hip Hop 6” by Hasenchat Music from Hasenchat Music Germany under 2013 Hasenchat Music Germany Copyright and 2013 Hasenchat Music Sound Recording (Performance) Copyright. “2013-10-21” is the day this album was released. It contains 30 tracks and is available on Andorra, Argentina, Austria, Australia, Belgium, Bulgaria, Bolivia, Plurinational State of, Brazil, Canada, Switzerland, Chile, Colombia, Costa Rica, Cyprus, Czechia, Germany, Denmark, Dominican Republic, Ecuador, Estonia, Spain, Finland, France, United Kingdom of Great Britain and Northern Ireland, Greece, Guatemala, Hong Kong, Honduras, Hungary, Indonesia, Ireland, Israel, Iceland, Italy, Japan, Liechtenstein, Lithuania, Luxembourg, Latvia, Monaco, Malta, Mexico, Malaysia, Nicaragua, Netherlands, Norway, New Zealand, Panama, Peru, Philippines, Poland, Portugal, Paraguay, Romania, Sweden, Singapore, Slovakia, El Salvador, Thailand, Turkey, Taiwan, Province of China, United States of America, Uruguay, Viet Nam and South Africa markets. “Rap and Hip Hop 7” by Hasenchat Music from Hasenchat Music Germany under 2013 Hasenchat Music Germany Copyright and 2013 Hasenchat Music Sound Recording (Performance) Copyright. “2013-12-25” is the day this album was released. It contains 30 tracks and is available on Andorra, Argentina, Austria, Australia, Belgium, Bulgaria, Bolivia, Plurinational State of, Brazil, Canada, Switzerland, Chile, Colombia, Costa Rica, Cyprus, Czechia, Germany, Denmark, Dominican Republic, Ecuador, Estonia, Spain, Finland, France, United Kingdom of Great Britain and Northern Ireland, Greece, Guatemala, Hong Kong, Honduras, Hungary, Indonesia, Ireland, Israel, Iceland, Italy, Japan, Liechtenstein, Lithuania, Luxembourg, Latvia, Monaco, Malta, Mexico, Malaysia, Nicaragua, Netherlands, Norway, New Zealand, Panama, Peru, Philippines, Poland, Portugal, Paraguay, Romania, Sweden, Singapore, Slovakia, El Salvador, Thailand, Turkey, Taiwan, Province of China, United States of America, Uruguay, Viet Nam and South Africa markets. 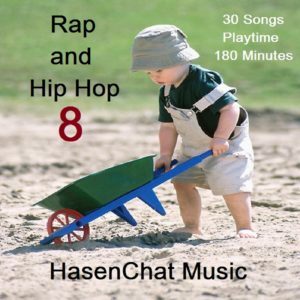 “Rap and Hip Hop (Episode Eight)” by Hasenchat Music from Hasenchat Music Germany under 2014 Hasenchat Music Germany Copyright and 2014 Hasenchat Music Sound Recording (Performance) Copyright. “2014-03-25” is the day this album was released. It contains 30 tracks and is available on Andorra, Argentina, Austria, Australia, Belgium, Bulgaria, Bolivia, Plurinational State of, Brazil, Canada, Switzerland, Chile, Colombia, Costa Rica, Cyprus, Czechia, Germany, Denmark, Dominican Republic, Ecuador, Estonia, Spain, Finland, France, United Kingdom of Great Britain and Northern Ireland, Greece, Guatemala, Hong Kong, Honduras, Hungary, Indonesia, Ireland, Israel, Iceland, Italy, Japan, Liechtenstein, Lithuania, Luxembourg, Latvia, Monaco, Malta, Mexico, Malaysia, Nicaragua, Netherlands, Norway, New Zealand, Panama, Peru, Philippines, Poland, Portugal, Paraguay, Romania, Sweden, Singapore, Slovakia, El Salvador, Thailand, Turkey, Taiwan, Province of China, United States of America, Uruguay, Viet Nam and South Africa markets. 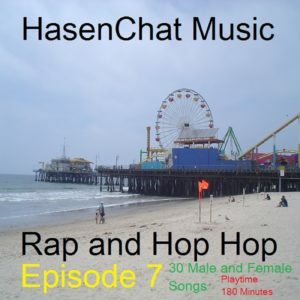 “Rap and Hip Hop (Episode 9)” by Hasenchat Music from Hasenchat Music Germany under 2014 Hasenchat Music Germany Copyright and 2014 Hasenchat Music Sound Recording (Performance) Copyright. “2014-08-15” is the day this album was released. It contains 30 tracks and is available on Andorra, Argentina, Austria, Australia, Belgium, Bulgaria, Bolivia, Plurinational State of, Brazil, Canada, Switzerland, Chile, Colombia, Costa Rica, Cyprus, Czechia, Germany, Denmark, Dominican Republic, Ecuador, Estonia, Spain, Finland, France, United Kingdom of Great Britain and Northern Ireland, Greece, Guatemala, Hong Kong, Honduras, Hungary, Indonesia, Ireland, Israel, Iceland, Italy, Japan, Liechtenstein, Lithuania, Luxembourg, Latvia, Monaco, Malta, Mexico, Malaysia, Nicaragua, Netherlands, Norway, New Zealand, Panama, Peru, Philippines, Poland, Portugal, Paraguay, Romania, Sweden, Singapore, Slovakia, El Salvador, Thailand, Turkey, Taiwan, Province of China, United States of America, Uruguay, Viet Nam and South Africa markets. 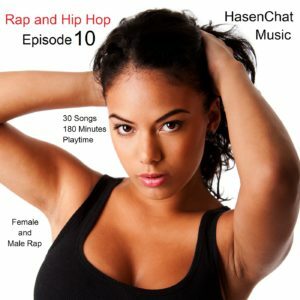 “Rap and Hip Hop (Episode 10)” by Hasenchat Music from Hasenchat Music Germany under 2015 Hasenchat Music Copyright and Sound Recording (Performance) Copyright. “2015-01-20” is the day this album was released. It contains 30 tracks and is available on Andorra, Argentina, Austria, Australia, Belgium, Bulgaria, Bolivia, Plurinational State of, Brazil, Canada, Switzerland, Chile, Colombia, Costa Rica, Cyprus, Czechia, Germany, Denmark, Dominican Republic, Ecuador, Estonia, Spain, Finland, France, United Kingdom of Great Britain and Northern Ireland, Greece, Guatemala, Hong Kong, Honduras, Hungary, Indonesia, Ireland, Israel, Iceland, Italy, Japan, Liechtenstein, Lithuania, Luxembourg, Latvia, Monaco, Malta, Mexico, Malaysia, Nicaragua, Netherlands, Norway, New Zealand, Panama, Peru, Philippines, Poland, Portugal, Paraguay, Romania, Sweden, Singapore, Slovakia, El Salvador, Thailand, Turkey, Taiwan, Province of China, United States of America, Uruguay, Viet Nam and South Africa markets. 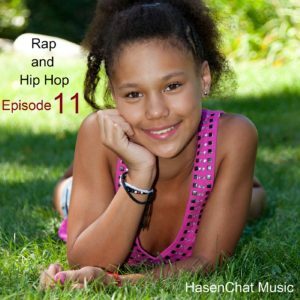 “Rap and Hip Hop (Episode 11)” by Hasenchat Music from Hasenchat Music Germany under 2015 Hasenchat Music Copyright and Sound Recording (Performance) Copyright. “2015-08-15” is the day this album was released. It contains 30 tracks and is available on Andorra, Argentina, Austria, Australia, Belgium, Bulgaria, Bolivia, Plurinational State of, Brazil, Canada, Switzerland, Chile, Colombia, Costa Rica, Cyprus, Czechia, Germany, Denmark, Dominican Republic, Ecuador, Estonia, Spain, Finland, France, United Kingdom of Great Britain and Northern Ireland, Greece, Guatemala, Hong Kong, Honduras, Hungary, Indonesia, Ireland, Israel, Iceland, Italy, Japan, Liechtenstein, Lithuania, Luxembourg, Latvia, Monaco, Malta, Mexico, Malaysia, Nicaragua, Netherlands, Norway, New Zealand, Panama, Peru, Philippines, Poland, Portugal, Paraguay, Romania, Sweden, Singapore, Slovakia, El Salvador, Thailand, Turkey, Taiwan, Province of China, United States of America, Uruguay, Viet Nam and South Africa markets. “Hollywood Raps 1” by Hasenchat Music from Hasenchat Music Germany under 2013 Hasenchat Music Germany Copyright and 2013 Hasenchat Music Sound Recording (Performance) Copyright. 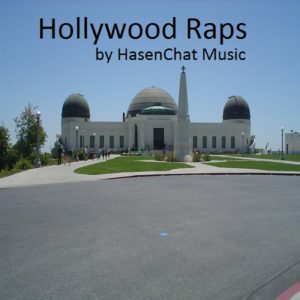 “Hollywood Raps 2” by Hasenchat Music from Hasenchat Music Germany under 2013 Hasenchat Music Germany Copyright and 2013 Hasenchat Music Sound Recording (Performance) Copyright.